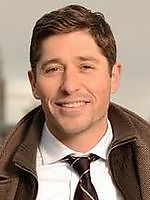 Info Jacob is a Minneapolis attorney and community activist committed to the progressive values of Senate District 59. He hopes to motivate ALL Minnesotans to stand up for ALL Minnesotans. Jacob attended The College of William and Mary where he received a B.A. in Government followed by a law degree from Villanova. A former professional runner, Jacob fulfilled a life long dream of representing the United States as a marathon runner at the Pan American Games. The most important milestone in Jacob's running career, however, was right here in Minnesota at the Twin Cities Marathon, where he met his future wife, Michelle. Falling in love with Minnesota (and each other), Jacob and Michelle returned to Northeast Minneapolis to make it their home. Jacob has grown strong roots in the community cultivating relationships with individuals and organizations alike, and advocating for those who need it most. Jacob and his wife Michelle organized the Big Gay Race in Northeast Minneapolis, mobilizing over 2,000 Minnesotans from across the state to stand up for marriage equality and against the proposed amendment. Jacob currently serves as Hennepin County DFL Treasurer. He also serves on the DFL State Central Committee as Representative of Senate District 59. As an attorney, Jacob has represented tenants facing homelessness, protecting some of Minneapolis's most vulnerable residents. Specifically, he represented those affected by the north Minneapolis tornado, helping them to stay in their homes through difficult times. Jacob serves as an advocate and champion of "I am Minneapolis", a campaign to establish a municipal ID card that will create access to those unable to receive a state issued id. Through his work with PROTECT Minnesota, Jacob testified at the capitol in opposition to a bill that would allow people to shoot first and ask questions later. While this "Shoot First" bill was successfully defeated, Jacob's advocacy has not ceased. He continues to work tirelessly to reduce gun violence in our state. Jacob has done substantial pro bono work and community organization in the Somali community, which has resulted in far greater involvement with the greater Twin Cities community. Working closely with the Somali Community, he helped to start a group focused on women's health and empowerment.